MRI-generated computer models may lead to better concussion diagnoses and possibly a sideline protocol for athletes. In 2012, the most recent year for which statistics are available, about 330,000 children and young adults (aged 19 or younger) were treated in emergency departments across the United States for sports and recreation-related injuries that included a diagnosis of concussion or mild traumatic brain injury (MTBI), according to the Centers for Disease Control and Prevention. It's safe to say that the most likely course of diagnosis for these young patients included a check for dilated pupils and a CT scan. However, an investigator at Worcester Polytechnic Institute in Massachusetts is participating in research that utilizes computer modeling to help pinpoint damage in specific areas of the brain. In addition, he is working on developing diagnostic tools that could provide real-time assessments of the risk of concussive injuries. "How to diagnose concussions reliably and in real time is one of the holy grails of brain injury research," says Songbai Ji, PhD, an associate professor of biomedical engineering at Worcester Polytechnic. "In concussion research, people try to use the most prominent feature, looking at the entire brain, rather than focusing on details in specific portions of the brain. This is the biomechanical perspective on concussions. In biomechanics, researchers typically look at the whole brain. They don't consider specific areas of the brain, like differentiating left from right, for example. They don't consider location in the brain or any deformations in specific regions." While there are numerous studies that view the brain as a single unit to determine injury, Ji says, certain components such as white matter neural tracts deep within the brain are more vulnerable and thus may be better indicators of injury. White matter is what helps coordinate communication between different regions of the brain. With two grants from the National Institutes of Health, Ji is using advanced neuroimaging involving high-resolution T1-weighted MRI plus diffusion tensor imaging to develop highly specific computer models of the head and brain to better diagnose concussions. He further generates tractography, which in neuroscience is a 3D modeling technique that visually represents neural tracts with data collected by diffusion-weighted images, using a well-established white matter atlas to guide his mechanical modeling work in TBI. In addition, by precomputing a large injury response database, Ji is working to make concussion diagnoses in real time. All of these efforts are pointed toward the goal of understanding the mechanics of TBI in athletes injured on the field. Part of that understanding involves knowing the difference between injuries caused by blunt, often repeated, blows to the head and damage caused by a sudden head rotation. In a recently published paper in Biomechanics and Modeling in Mechanobiology, Ji and his research associates note that head rotation is considered the primary cause of MTBI, with angular velocity, rather than acceleration, a greater predictor of strains in the brain. MTBI is actually a more common injury but can also be more difficult to diagnose. However, as Ji points out, characterizing head-impact kinematics has been the focus of concussion diagnosis to date. "Head rotation causes greater mild spectrum brain injuries," he says. "So many times people want to know how many Gs did the patient take in a blow to the head. Most commercial products designed to prevent injury, such as helmets, deal with the so-called 'linear acceleration' to the head, not yet the rotation of the head. Therefore, they are not quite effective in reducing risks of concussive injuries." Ji's research integrates neuroimaging into existing brain injury research. He focuses on how injuries affect functionally important neural pathways and specific areas of the brain. Where his work differs from the numerous studies that view the brain as a single unit to determine injury, he says, is in taking advantage of the known consensus, as corroborated by numerous imaging and pathology studies, that certain components, including white matter neural tracts deep within the brain, are more vulnerable and thus may be better indicators of injury. To date, brain modeling related to TBI has involved studies of the effects of traumatic injuries that result from high-impact incidents such as car crashes. Ji's work, however, examines the effects of more subtle, mild-spectrum concussions caused by less severe incidents. "The subtlety of mild-spectrum concussion injuries is just not as black and white as that caused by more traumatic damage," he says. "Football helmets, for example, are helpful in preventing moderate-to-severe injury, but the level of security just isn't at the point yet where they can mitigate mild damage to certain areas of the brain." Ji explains that, due to the brain's complexity, it is possible that an injury to one area may not be significant enough for the injured individual to show typical signs of concussion, thus hindering proper diagnosis. By imaging in specific regions, doctors may see more of the clinical effects of the injury. And it's with MRI, including diffusion tensor imaging, that researchers have observed changes in those areas of the brain. "Potentially, we could assess injury risks for different areas of the brain," Ji says. "The brain is complex, and you just can't make generic findings." It is essential to the study of MTBI to integrate structural neuroimaging into biomechanical modeling, Ji says. This is where he is uniquely trained to "speak the languages" of both biomechanics and radiology. He earned both his master's degree in computer science and PhD in mechanical engineering in 2003 from Washington University in St. Louis. He first became interested in brain imaging when he started his master's program. At that time, his research involved using MRI to detect strain in rat brains. Ji didn't begin looking at human brains until his postdoctoral work at the University of Pennsylvania, where he began applying MRI to measure brain deformations in live humans during neck flexion and extension. That's when he also began using MRI to create models of the pediatric brain. His combination of studies in neuroimaging and biomechanics make him a natural connector among specialists in TBI. Ji's work eventually focused on the biomechanical mechanisms behind TBI. Historically, focus in the field has been on impact kinematics or estimated brain responses in generic regions of the brain, from a single head impact, to predict a binary brain injury status on a population basis. Ji's research focuses on integrating advanced neuroimaging into TBI biomechanics research to understand injuries to functionally important neural pathways. At the same time, he develops techniques to achieve near real-time response feedbacks. "This is critical to enable the model for studying the cumulative effects from repetitive head impacts for athletes participating in contact sports using their individualized impact exposure," he says. "Ultimately, we hope that these efforts could lead to a tool feasible for clinical concussion diagnostics." "Typically, it could take hours to produce a detailed strain map for each impact and then to determine whether someone has a concussion," Ji says. "High-resolution analytic imaging creates a sophisticated model that is great for use in research but is not feasible for everyday use. We want to provide a quick, accurate diagnosis for athletes while on the field." Speed in diagnosis could come with time, as more research results in large databases of information. "As we observe contact sport head impacts on the field, we can look for the magnitude and direction of head impacts," he says. "We can take these data and convert them into useful information using just a few parameters, then enumerate those parameters to generate a database. Specifically, we can precompute the detailed brain strain maps using the enumerated parameters as input, with one for each level of magnitude and direction of impact, and then interpolate the strain maps for each head impact that actually occurs on the field." Ji envisions that, one day, athletes could be wearing protective gear, such as a helmet or a mouth guard, equipped with an impact sensor. When an athlete's head is struck, the sensor would record the acceleration, which would provide input to the computer model. Because Ji will have precomputed various strain maps into a computer, athletic trainers could quickly retrieve a strain map of the blow that could be used to assess injury risk. "But the computational cost would be too high if one is to simulate each head impact from scratch for real-world applications," he says. "That's why we are also developing the precomputation technique for real-time feedback of strain maps." Ji integrates advances in imaging and a white matter atlas to guide his concussion biomechanical investigations. Brain atlases have played an important role in many aspects of brain research by providing various types of anatomical information, such as brain structure names, locations, and boundaries. He adds that many current concussion studies are looking at acceleration magnitudes, comparing it to a "hit count," meaning the number of times an athlete's head has been hit, rather than considering how many times a specific brain region experiences a certain level of strain and deformation. It is the latter factor that researchers believe is likely more related to the extent of the actual injury. Ji's lab is looking at the role such repeated straining plays in the severity of concussions. "I am encouraged by the research and think that we can make an impact in this crucial health area," Ji says. "My research team understands just how important it is to advance concussion research for athletes of both genders and of all ages." 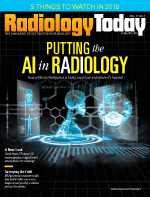 Ji says radiology has been well received within the biomechanical world. Neuroimaging introduces a whole-brain tractography, and employs special techniques of MRI and computer-based image analysis. "Tractography provides information for biomechanical studies to help determine what tracts in the brain are injured," Ji says. "It brings the structural network of the brain obtained from neuroimaging into the process of diagnosing concussions based on biomechanical information." Radiologists' familiarity with white matter is important when dealing with the high-resolution T1-weighted MRI used to differentiate anatomical structures mainly on the basis of T1 values. Tissues with high fat content—eg, white matter—appear bright, and compartments filled with water—eg, cerebrospinal fluid—appear dark. Radiologists also bring expertise in diffusion tensor imaging, an MRI-based neuroimaging technique that makes it possible to estimate the location, orientation, and anisotropy of the brain's white matter tracts. Ji says that a key to continued developments in TBI research is to continue bringing together neuroimaging and biomechanical experts, working closely to improve concussion prediction. "By integrating information from images into biomechanics, we can bridge the two fields, making for more accurate concussion diagnosis, and do so in real time," Ji says.